Flip two coins. This attack does 20 damage times the number of heads. 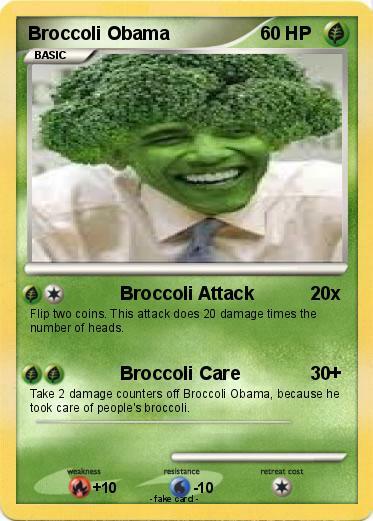 Take 2 damage counters off Broccoli Obama, because he took care of people's broccoli.